Bonnie put Davey in leopardprint. LEOPARDPRINT. He's already a leopard. So I got back at her by turning my Davey and her Nicky into Glamour Twins. Both are straight, as far as we know. Davey is mine, Nicky is Kate Harper's, and the picture is mine, too. Hah. Like you'd want it. 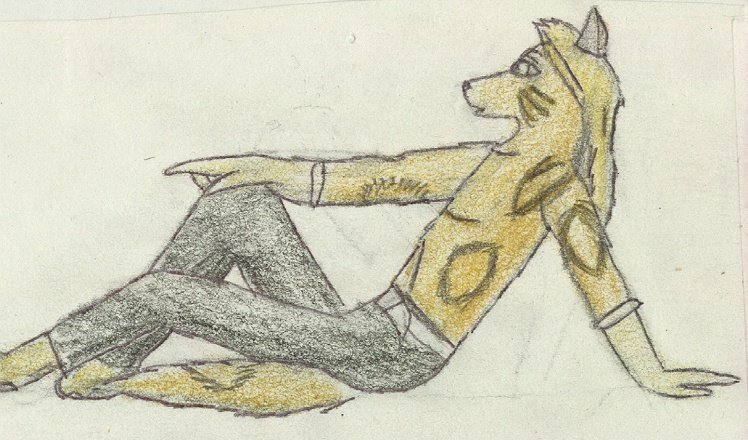 I'm fully aware the anatomy is off, the shading is nearly nonexistant, and the entire thing is stiff and dead-like. I don't care. I like it. Hee. 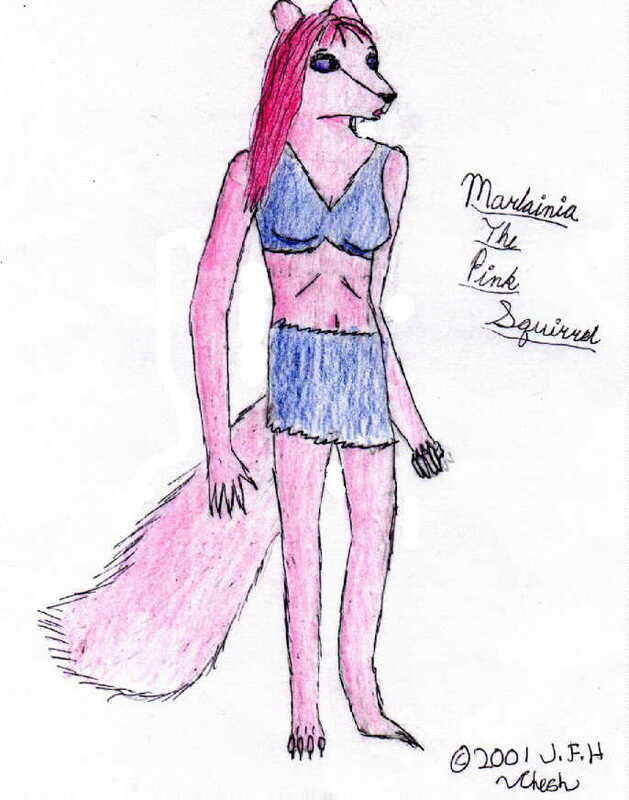 Marlainia... the pink squirrel. 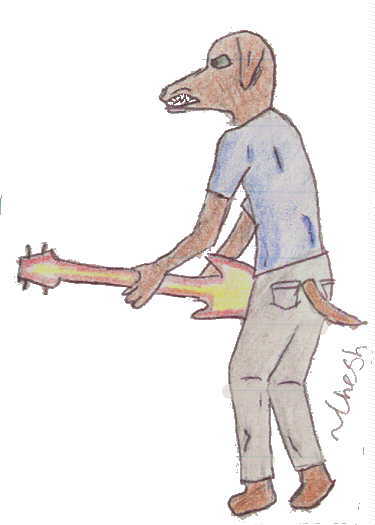 It's a long story, and my scanner decided to screw up the colors (I can't HELP IT! It likes scanning darker than it should). Marlainia © J.F.H., or Cheshire. That happens to be me. Isn't he cute? 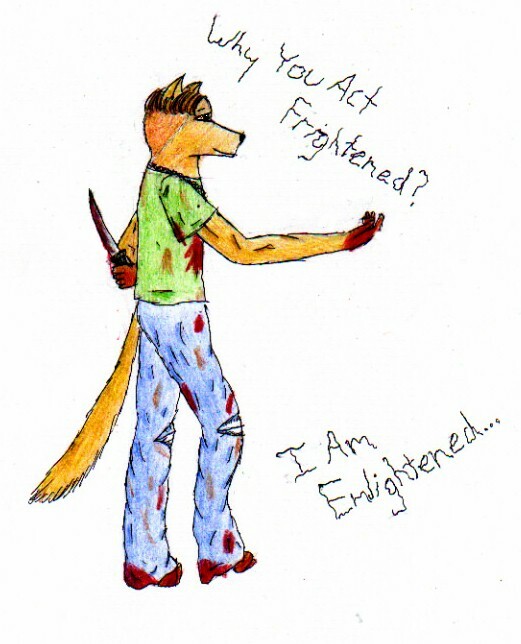 He's mentally unstable and he likes killing people. His name is Jerry. Tee hee. He's © J.F.H., who is me.